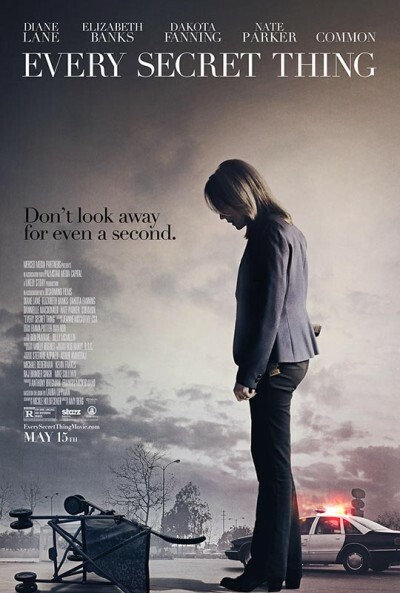 Last night was the Baltimore premiere (and only showing) of Every Secret Thing, the film based on the 2003 Laura Lippman novel. 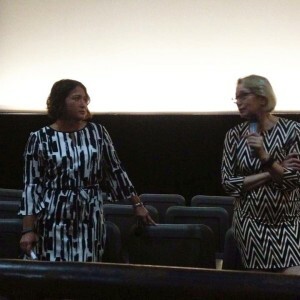 Hosted by The Charles Theatre, the screening was followed by a Q&A session with Laura (with Alafair Burke leading the discussion). For those who were unable to attend this event, I wanted to provide a few highlights. Let me first say that if you have not yet read Every Secret Thing, Laura Lippman’s first stand-alone novel (originally released in 2003), you should make every effort to do so. Even twelve years on, this novel resonates and readers can easily see hallmarks that will become Laura’s stock in trade (especially within her stand-alones). The film version of Every Secret Thing is fairly faithful to the source material and plays out like the character study it should be. This is not a film that tries to manipulate the viewer, but instead unfurls in the way and at the pace dictated by the needs of the story. The acting across the board was very strong, but I would like to single out Danielle Macdonald (the actress who played the older Alice Manning), who skillfully brought to life to this complex character in what appears to be her first major film role. Diane Lane, Elizabeth Banks, and Dakota Fanning each continued their strong film work with their performances as well. If you don’t know anything about the plot, it is the story of Alice Manning and Ronnie Fuller. When these two girls were younger, a spontaneous decision was made resulted in the death of a child. After spending time in the juvenile justice system, the two return to their hometown only to become suspects again when another child goes missing. That is the crux of the plot and I don’t want to go into any more details so as to avoid spoilers for both readers and viewers. After a brief mention of the fact that the setting of the movie was not Baltimore due to production decisions, the first major topic of discussion concerned the altering of one of Laura’s long-standing characters. In the books, Kevin Infante is a Caucasian police officer, but in the film he is played by African-American actor Nate Parker. Laura talked a bit about how the film-makers felt they needed to make this change to mitigate some of the racial aspects of the story. Since she had already made the decision to take a hands-off position in terms of the film, she really had no say in this decision. Ultimately, she feels that the decision worked and has no problem with this change. Alafair asked about the character of Alice and why there was much discussion of her being fat. Laura told the audience that this was a decision that first stemmed from the need to have a reason for Alice’s mother to not connect with Alice. In Helen’s mind, Alice being fat was a reminder of the father and less than a stellar character trait. This allowed for Helen’s bonding with Ronnie to seem natural. Another question asked also pointed out the central theme of mother/daughter relationships in the film. This ties into another question about whether Laura had ever been accused of being anti-feminist because of how she often portrays women in her books. Thankfully, Laura said this had never happened and that she could easily defend herself by detailing the vast array of women who have appeared throughout her oeuvre. Since I know that most (all?) of Laura Lippman’s stand-alone novels have at their core fiction crimes which were inspired by real cases, I asked Laura if that was the case with Every Secret Thing as well. In fact it was. The famous United Kingdom case involving the murder of James Bulger – a two-year-old boy who was killed by two ten-year-olds was the inspiration. Of interest to crime fiction fans will be the knowledge that this same case also inspired Alex Marwood’s The Wicked Girls and The Field of Blood by Denise Mina. What is so interesting is how these three novels are so vastly different. (Note to Bouchercon planners, this would be a great topic for a panel – comparing and contrasting books that are inspired by the same true crime). Finally, no Laura Lippman event would be complete without some talk of Tess Monaghan. While Laura rarely plays the casting game, she did reveal that at one time she thought Minnie Driver would have been a great Tess. Currently, she wouldn’t be opposed to the idea of Mindy Kaling playing her fictional alter-ego. But before any of that can happen, a script and “show Bible” need to be written. As Laura has been saying during the tour for Hush Hush – the latest Tess novel – she now feels that she has to be intimately involved with any attempts to bring Tess to the screen and hopes to find the time to being that process soon. Once again, I’d like to thank Laura Lippman, Alafair Burke, and The Charles Theatre for bringing us this event. It was an evening well-spent. This was wonderful, Kristopher – Thank You! !